In Veendam, at approximately half an hour’s drive from Manter’s production site in Emmen, Paragon Pet Products manufactures more than 100 million WHIMZEES vegetarian dog snacks per year. The company exports to 45 countries around the world, and achieves annual growth figures of more than 20 percent. 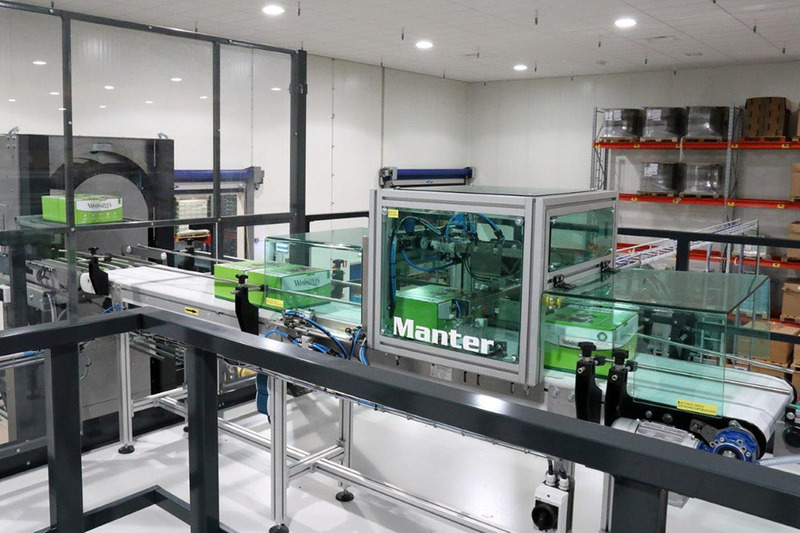 To be able to meet this increasing demand, Manter completed a turnkey project to weigh and pack the products quickly and accurately. As Paragon complies with the BRC standard, the requirements were very high. 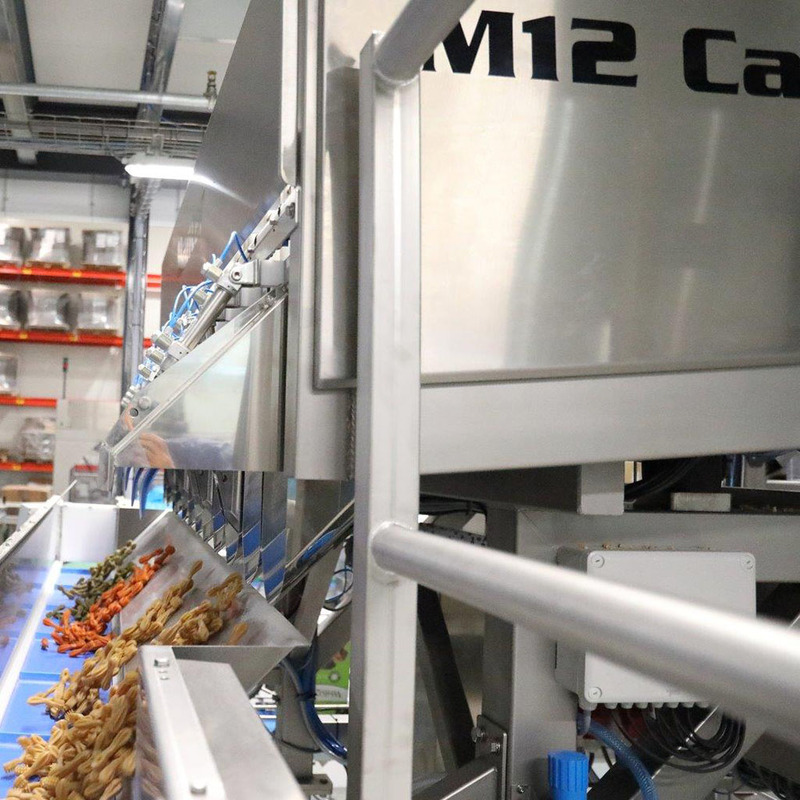 The Manter M12 CA weigher that is installed in the modern production facility of Paragon is manufactured entirely from stainless steel. With its 12 weighing buckets, it selects the optimal weight to supply the various products with the right colour and in the right numbers to the packaging machine. “We used to count the chew snacks and pack the display boxes 16 to 935 products entirely manually. Because of our rapid annual growth, we created an automatic packing line for the display boxes with Manter”, explains Felix Müller-Ohl, COO at Paragon. “We needed to automate because it is increasingly difficult to find packing staff, and the quantities simply became too large”, says Müller-Ohl. This year Paragon already exports 400 containers with chew snacks worldwide. “In the coming years, we want to double our sales, so we had to modernise and expand our production capacity to be ready for the future”, according to Müller-Ohl. In the modern production hall, Jeroen Prins, Engineering student at the Hanze UAS Groningen who supervised and described the process for his thesis, tells us that Paragon and Manter learned a lot from each other. “Because we compy with the BRC standard, with hygiene and food safety requirements for food-processing companies that produces human nutrition and supply directly to the retails sector, our requirements were very high. This is important to us, as we realise 75% of our turnover in the USA< a country that sets high demands for pet food products”, Prins explains. This is why the execution of the turnkey project proved very challenging for the Manter engineers. “Besides the high BRC requirements, we have a total floor length of 23 meters available in the factory. On that surface, other machines from other manufacturers besides those from Manter had to be integrated and operated as well. This has been done successfully, and we are happy with it”, shares Prins. The Manter M12 CA weighing machine can easily handle the maximum of 12 boxes per minute that can currently be filled by the supplying machine. “As we aim to grow in the future, it is good to know that weighing capacity can be doubled”, Prins says with satisfaction. To ensure a quick and smooth process, Manter decided to position the processes of printing batch codes on the boxes, and labelling and wrapping them in film, at a level above the weighing machine. This ensures a very orderly line with enough potential for future expansion. “By completing this project with Manter, we automated our largest product group. The next step focuses on weighing and packing our small packagings”, Müller-Ohl concludes. To ensure a quick and smooth process, Manter decided to position the processes of printing batch codes on the boxes, and labelling and wrapping them in film, at a level above the weighing machine. Paragon produces canine dental care products that are based on potato starch and other vegetable compontents. These remarkable products are healthy and beneficial for the dog’s teeth and gums. The company was established in 2003, as a result of a project from potato starch manufacturer AVEBE. The rapid growth in the market means that Paragon is continuously developing and improving. Not only by introducing innovative products in the shape of a toothbrush, a hedgehog, or a crocodile, that have turned out to be very successful, but also by optimising internal processes. In the contect, Manter completed a turnkey project for automatically packing the snacks in display boxes, and palletising them. 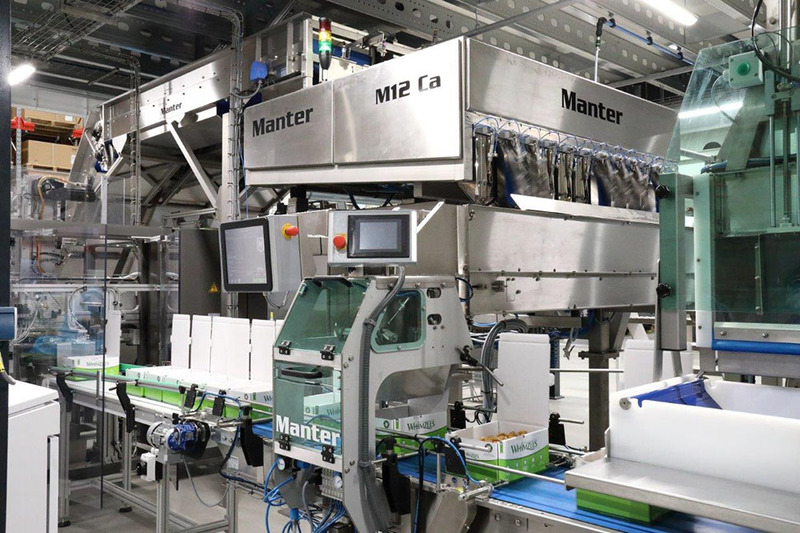 The Manter M12 CA uses 12 weighing buckets to select the optimal weight to supply the various products with the right colour and in the right numbers to the packaging machines.